PARISH LENTEN RETREAT – Friday, March 29th from 6:30 p.m. - 8:00 p.m. in the church - As we journey through Lent remember that this time of preparation is leading to the joy of the Resurrection! All members of the parish are invited to a Lenten Retreat where we will experience the story of Lazarus as it is illuminated in the Saint John's Bible, using the prayer method "Seeing the Word". This way of praying involves periods of silence, reading Scripture while focused on the illumination and optional sharing with the group. Join us on Friday, March 29th, beginning with Stations of the Cross lead by the C.W.L. at 6:30 p.m. in the church. The evening will end with refreshments. There is no cost. Materials will be provided. Sign-up sheets are in the Narthex. 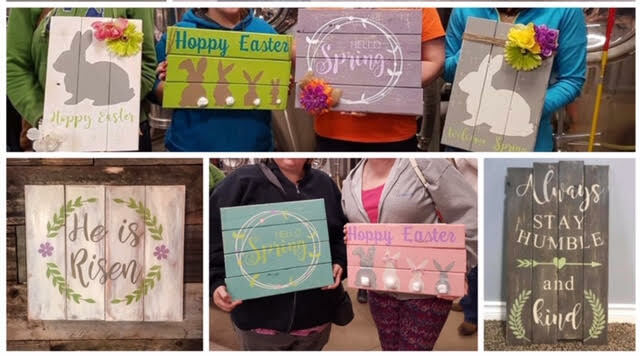 Nailed It Nite - Saturday March 30th, 10 am - 1 pm in the church hall. For $55 you can choose between 4 wood crafts to make and keep, with all materials provided. Light snacks will be served. Seating is limited to 35 people. Register at https://naileditnite.typeform.com/to/rXfVim. Proceeds will go to the Building Maintenance Fund. A 140 Voice Community Choir presents HANDEL’S MESSIAH on Friday, April 12th and Saturday, April 13th at 7:30 p.m. at Woodside Church, Elmira and Sunday, April 14th at 3 p.m. at Floradale Mennonite Church. Tickets are $5 per person. Tickets are available at Foodland, Woodside Church, Floradale Mennonite Church and Living Waters Book Store. All proceeds will go towards local charities. For full details visit woodsidechurch.ca/messiah. Mark your calendars! More info will be posted closer to the date! It's going to be a Food Truck Summer here in Elmira!!! Elmira area churches are taking turns hosting Food Truck Fridays each Friday from May 3 - Sept 27! We are calling it Heavenly Eats! Check out our Facebook page for a schedule of churches! Posting soon will be a list of the food trucks coming to each church! Note: St Teresa of Avila Fridays are May 17, June 21, Aug 2 and Sept 27. Mark your calendars and give your cook the night off! 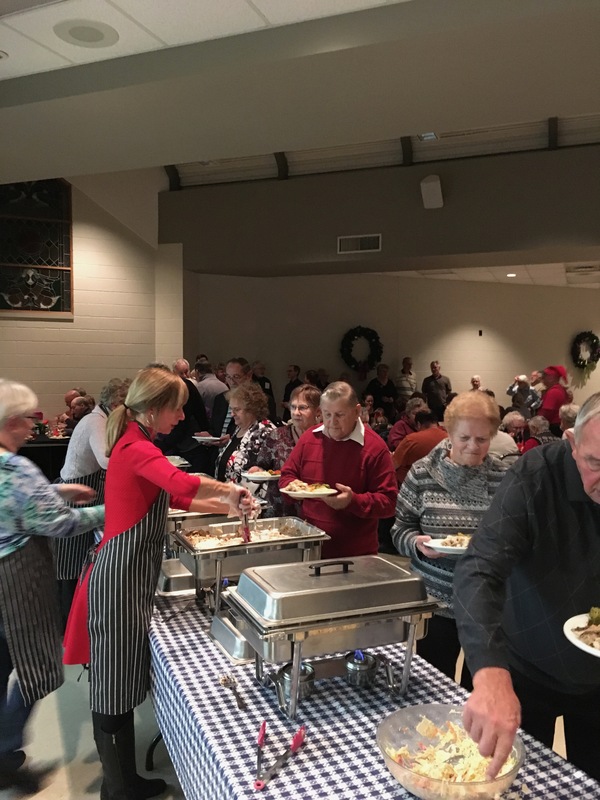 Our parish Christmas Turkey Dinner was held on Friday Dec 7th. 108 people enjoyed a delicious meal catered by our local Grill on the Green (Elmira Golf Club)! Thanks to all the volunteers who helped make this event a success. View our Gallery of pictures/videos from past Church events.